LASIK eye surgery may be an option for you to decrease or eliminate your dependence on glasses or contact lenses, if your existing vision defect fall within an acceptable LASIK correction range and have not changed considerably for at least a year. It is important to know that the amount of refractive error that can be treated by LASIK in a particular individual depends on many factors such as the surgeon, parameters of the chosen excimer laser and the central corneal thickness. The U.S. Food and Drug Administration (FDA) has approved a variety of excimer lasers for LASIK treatment of myopia, hyperopia and astigmatism. Each of these lasers has its special indication and treatment range. For example, The FDA has approved the use of VISX STAR S2 Excimer Laser System(TM) for the treatment of up to 14 diopters (D) of myopia with up to 5 D of astigmatism. Myopia: the standard range for LASIK extends from -0.75 to -10.0 D of shortsightedness with an extended range up to 12.0 D of shortsightedness. Hyperopia: LASIK has been FDA approved for correction of farsightedness up to +6 D. However, LASIK results are more predictable for corrections up to + 4 D.
Astigmatism: between +/- 0.75 to +/- 4.00 D can be corrected by LASIK. Although LASIK has been used to correct refractive errors beyond these ranges with success, most surgeons nowadays limit their LASIK levels of correction to lower than those used a few years ago. This trend comes over years from the fact that the more precise results of LASIK surgery is better in lower ranges than in higher ranges of correction. Another reason is that LASIK alternatives for people with higher degrees of refractive errors are now available; one of these procedures is implanting a small lens with the desired optical correction directly inside the eye (Visian ICL and Verisyse). With new ranges of approval for higher corrections in wavefront-guided LASIK, higher levels of correction may now also benefit from similar improvements that the lower levels of myopic and hyperopic corrections have achieved over the last few years. Yanoff M, Duker JS,Augsburger JJ, et al. Ophthalmology. 3rd ed., Mosby; 2009. 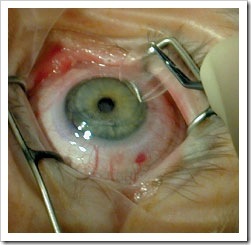 Probst LE, LASIK: Advances, Controversies, and Custom, Slack Inc. 2003. There is a wide range in the prices of LASIK surgery depending on a number of factors such as the type of laser technology used and the area of the country you live in. According to a leading refractive surgery industry analyst, the average price for LASIK and other laser vision correction procedures performed by U.S. surgeons in 2007 is $2,099 per eye. 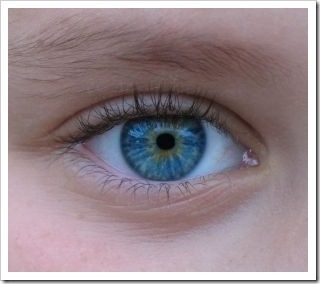 I will write a post with full details about LASIK prices.